To flourish is to have a high level of mental wellbeing, and ultimately to have a good mental health. Join us in this magical journey that explores ten features of positive wellbeing. This show will help your students discover how magic can trigger and boost all aspects of well-being. This show is perfect for students who need an interactive exploration of their own sense of competence, emotional stability, engagement, meaning, optimism, positive emotion and relationships, resilience, self esteem, and vitality! Take a seat in the red room, but don’t get too comfortable, we will step back in time as the spirits of our town’s historical figures come to visit. 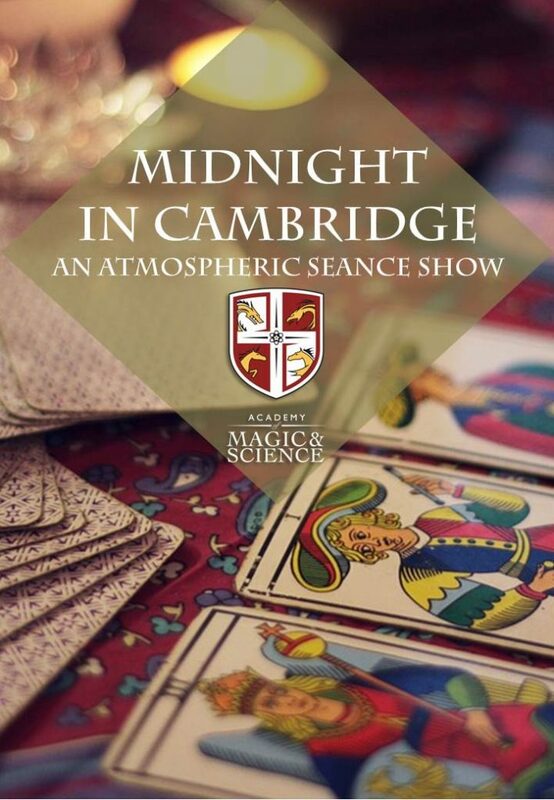 In an immersive atmosphere of a seance, where we will converse with ghosts and ghouls, prepare to have a hauntingly good time with the phantoms of Charles Darwin, Isaac Newton, Robert Oppenheimer and more… The Seance - a magical show, atmospherically performed! 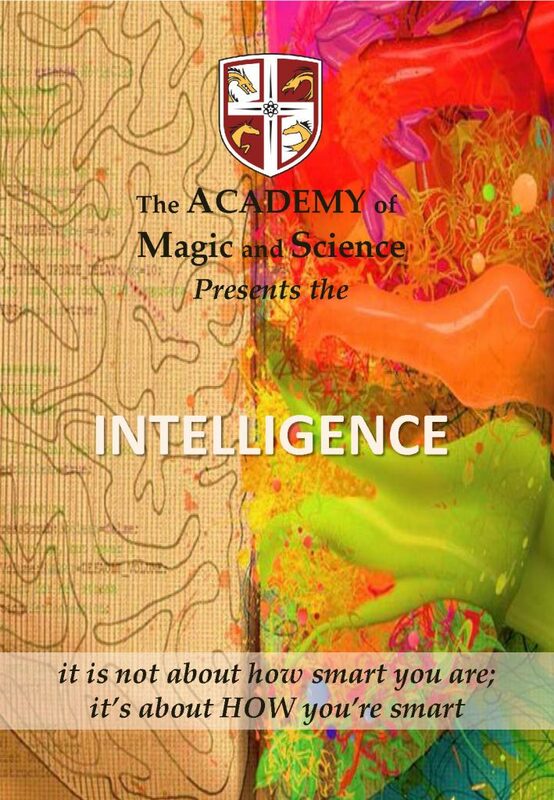 Discover the full spectrum of your intelligences in a magical interactive show! What is beyond IQ, how can we train interpersonal intelligence, how can we trick our spacial understanding of the world, why our existential questions get forgotten, which are the illusions in our kinesthetic coordination and how our linquistic abilities assist us to communicate without misdirections? When can a musical ear become spelled, how our naturalist abilities bend the laws of nature and how can we perceive truthfully ourselves in a world of magic! Based on the multiple intelligences theory of Dr Gardner, Harvard 1983! Breaking out of the zodiac in this magical escaping show Have you tried an escape room before? What about an escape show? In the Greek mythology Andromeda was the chained princess who was sacrificed to be fed to a sea dragon. The hero Perseus transformed the monster into stone by showing him the head of Medusa and freed the princess. What will it take you to escape the zodiac? Join forces with 4 illusionists to solve magical riddles, defy scientific principles, make decisions, succeed in challenges and unlock the mythological mysteries of the zodiac constellations in an interactive magic & science show! Have you ever wondered if there is a place in the world where magic is happening every single moment? Have ever wished that you could be part of this magical world? Well, prepare your broomsticks, because here is your chance! 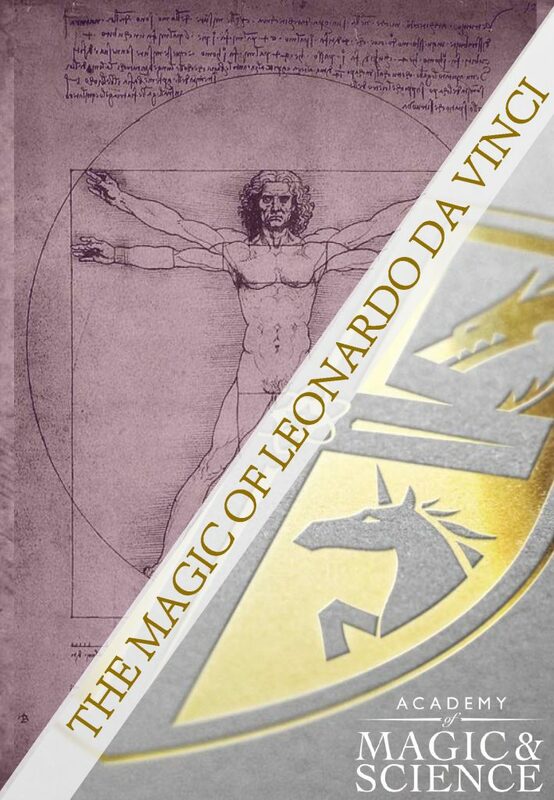 The Academy of Magic & Science proudly presents the exclusive show of the MAGIC OF LEONARDO DA VINCI! This creative genius had many talents; Leonardo was a peaceful painter, a military inventor, an engineer, a writer, a musician, an anatomist and … a magician! He designed machines to make us fly, to give us superhuman powers, to decode observations and to not allow anything misdirect us. 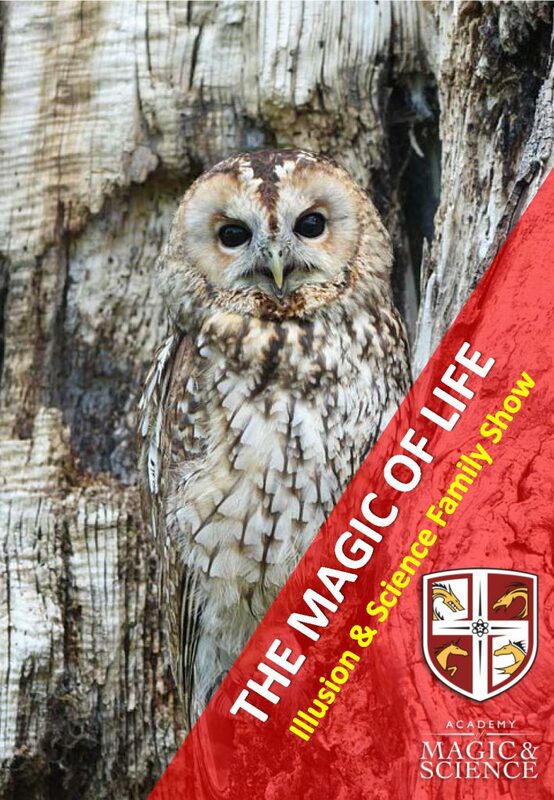 This interactive fantascientific show will create the WOW excitement moments of magic and drive them to evolve into AHA realisation moments of scientific principles! 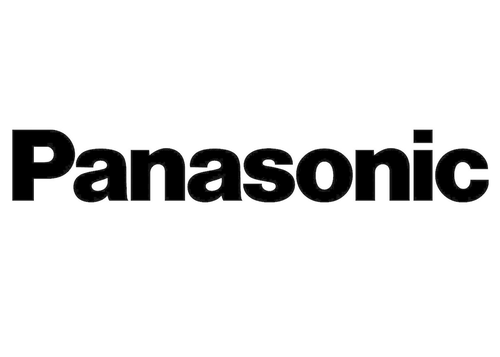 How was cinema invented, how did the first electrical light bulb come to life, how did automation evolve, how did things start to fly and most importantly... what is the recipe for the philosopher's stone? Join the Academy of Magic and Science to explore the hidden secrets behind these inventions and match the rigorous, scientific engineers, chemists, physicists, astronomers and doctors to their concealed doppelgangers of alchemists, astrologers, wizards and other magical creatures! What magical powers would you give to a mythical creature or fantastic beast? An introduction to the workings of life from the cell to physiology and the ecosystem, this interactive illusion show will explore how life is formed and how organisms survive, by giving secret powers to a magical creature - that we will create live on stage! Are we falling in love due to gravity? Is it a magical trick of cupid or an alchemic reaction of oxytocin? Does love grow through songs and romantic poems, magic spells or releases of dopamine? 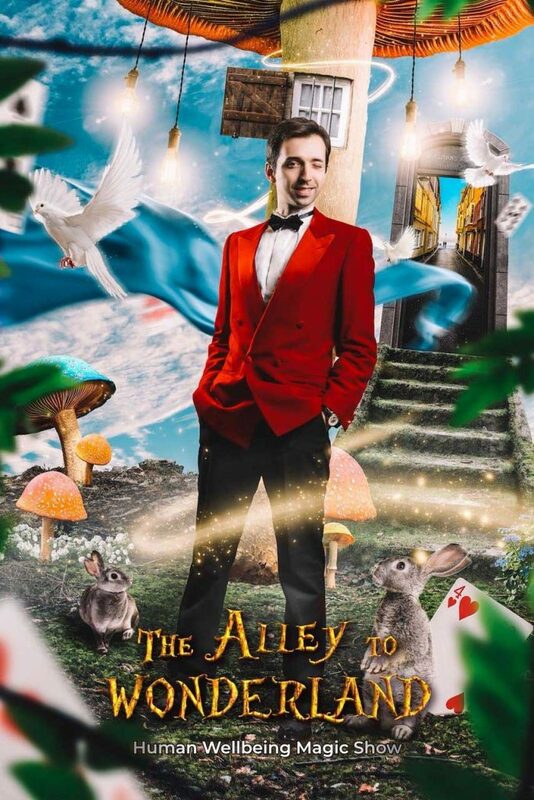 The World Champion of Big Stage Illusions and several Guinness World Records holder, Alexis Arts, will take us through the magical experiment of THE SCIENCE OF LOVE. Prepare to challenge your perceptions on romantic love, to question the accuracy of your romantic sensations and feelings of intimacy, passion and commitment. How? By magic! 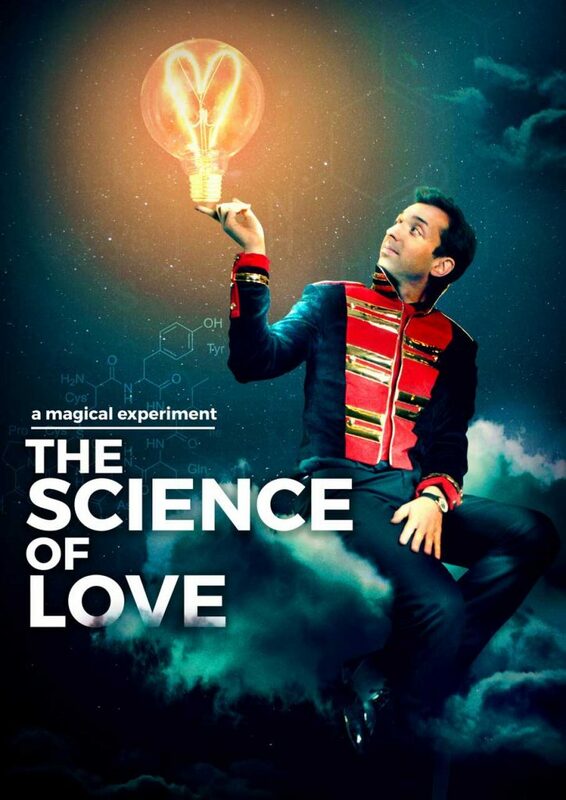 Join as a couple, single, family or anything in-between and this show will make your questions about love vanish and sparkle charmed sprinkles on your heart-syncing through scientific explanations and magical demonstrations and may finally settle the eternal battle between the mind and the heart! What does it mean to sense something? 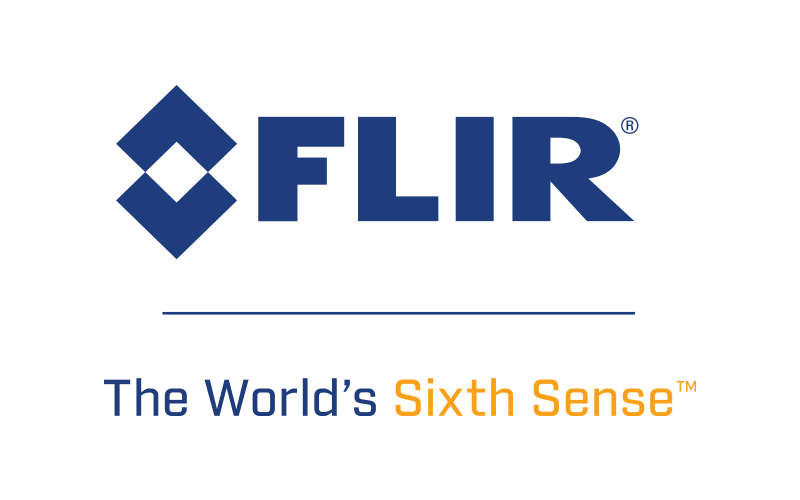 How do our five senses help us to perceive the real world? In this magical experiment, your students will learn how illusionists understand sense to then manipulate and misdirect our attention. This is truly a journey in the mechanisms that control how we experience the world, discovering what is beyond our classic understanding of the senses. 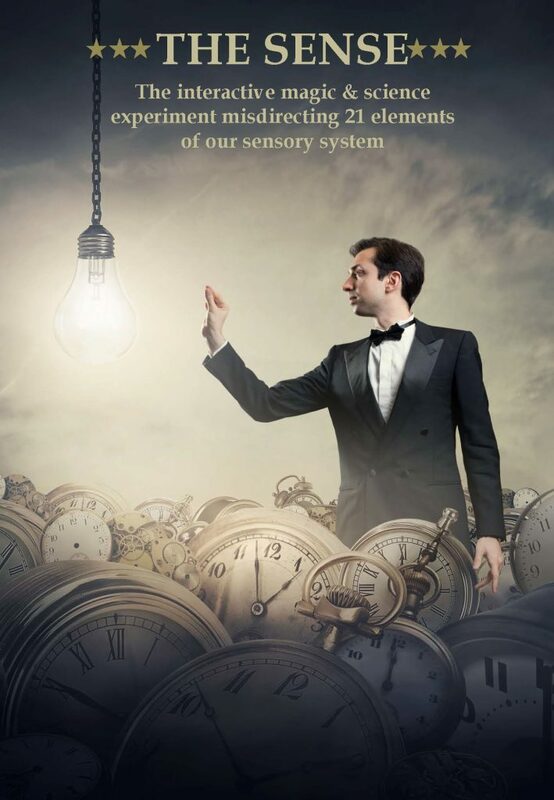 We will illustrate the 21 elements of our sensory system… and misdirect them all! This lecture show is a perfect compliment to learning about the senses in science lessons, but also helps to provide a different, magical, perspective. From mechanical tools to chemical reactions and from electrical devices to flying and disappearing objects! 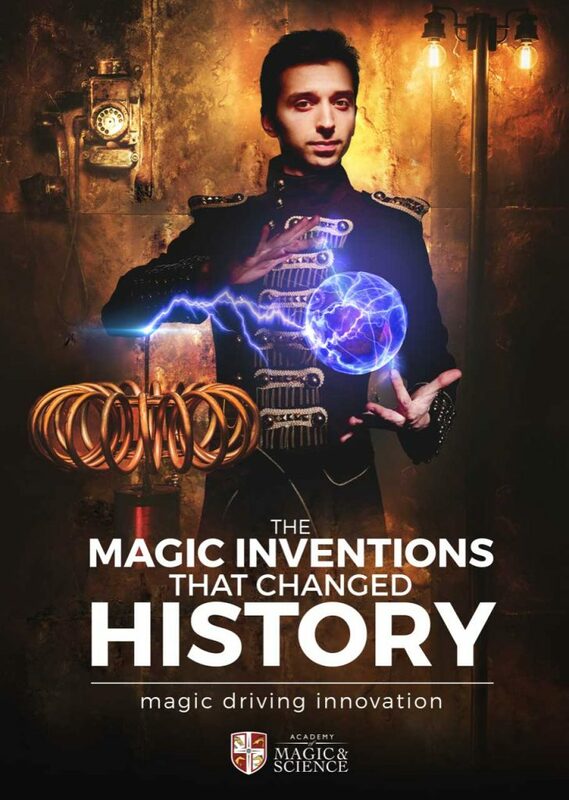 Embark on an enchanting journey exploring the spell binding inventions that changed history and transformed life, as if by magic! While the purpose of magistery was always to produce mystery and awe, some of the most history changing tools, devices and practices were invented by magical scientists that kept them secret to captivate their audiences! And as expectations and capabilites were evolving, they kept innovating, producing technologies that at the time seemed as if they were magical! How was cinema invented, how did the first electrical light bulb come to life, how did automation evolve, how did things start to fly and most importantly... what is the recipe for the philosopher's stone? 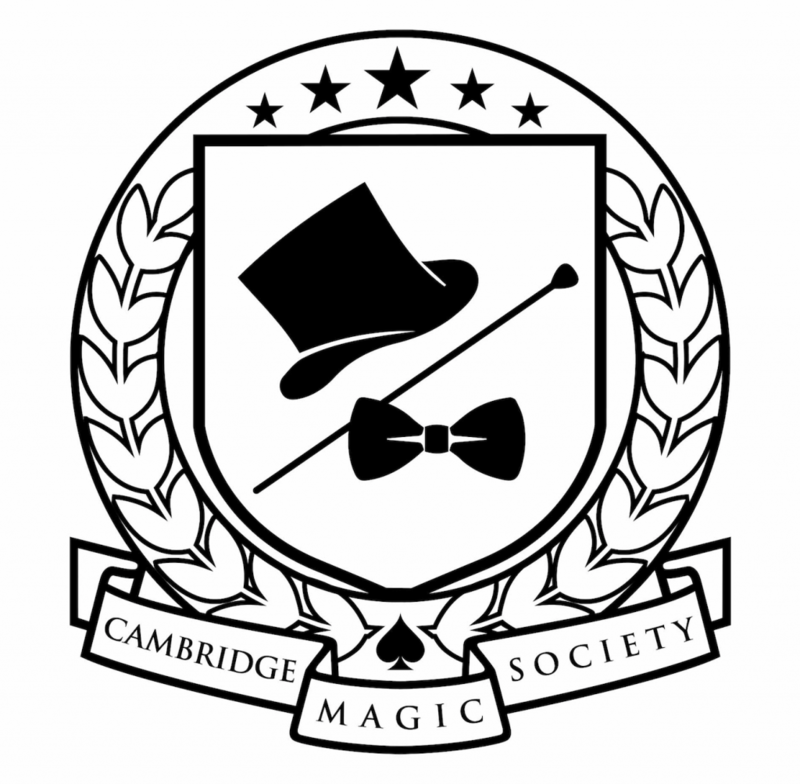 Join the Academy of Magic and Science to explore the hidden secrets behind these inventions and match the rigorous, scientific engineers, chemists, physicists, astronomers and doctors to their concealed doppelgangers of alchemists, astrologers, wizards and other magical creatures! 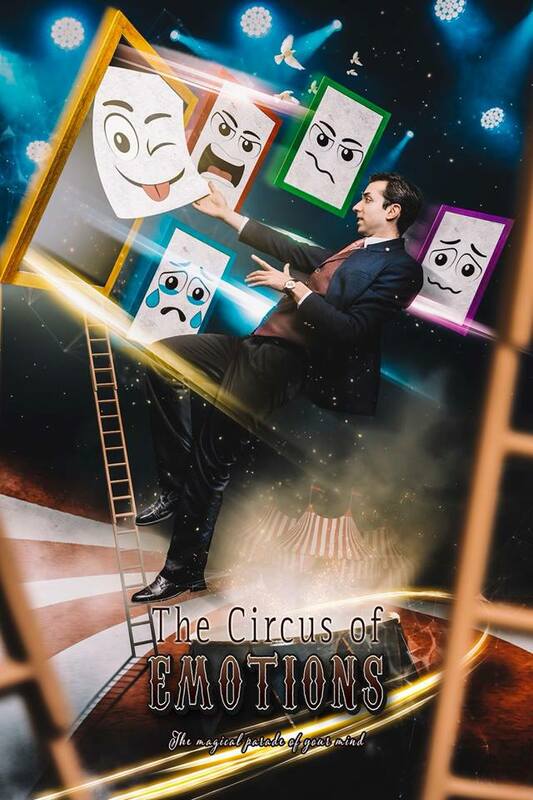 An interactive show, set in the core of the stage of our emotions that lead us through illusions and wonder in the fantastic workings of our soul! Emotions take leading role in a performance as if in a circus, or a maze, demonstrating their purpose, their expression, the way they are activated, their way to form memory and their tricks to shape our personality! 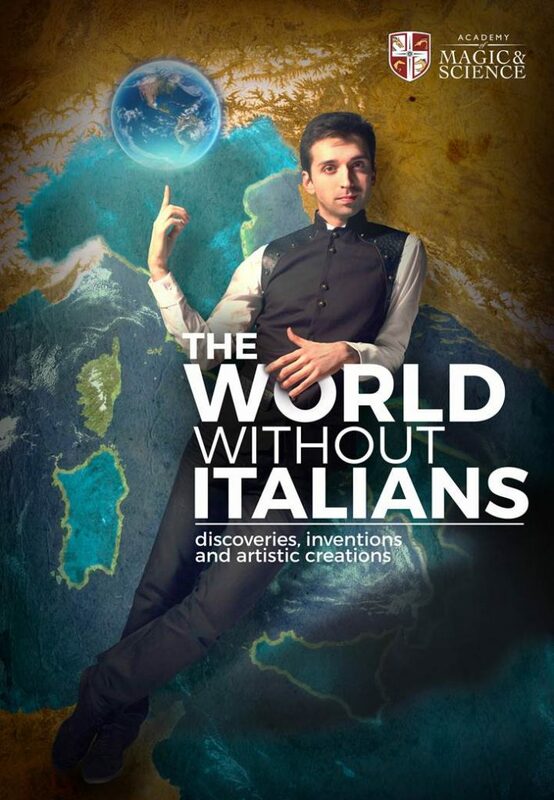 A magical exploration of inventions, innovation, discoveries and artistic creations of the Italian people that shaped history and the world as we know it today! How would our world look like if Italian people never existed? What life changing inventions were the product of these people, embedded in their own unique culture? 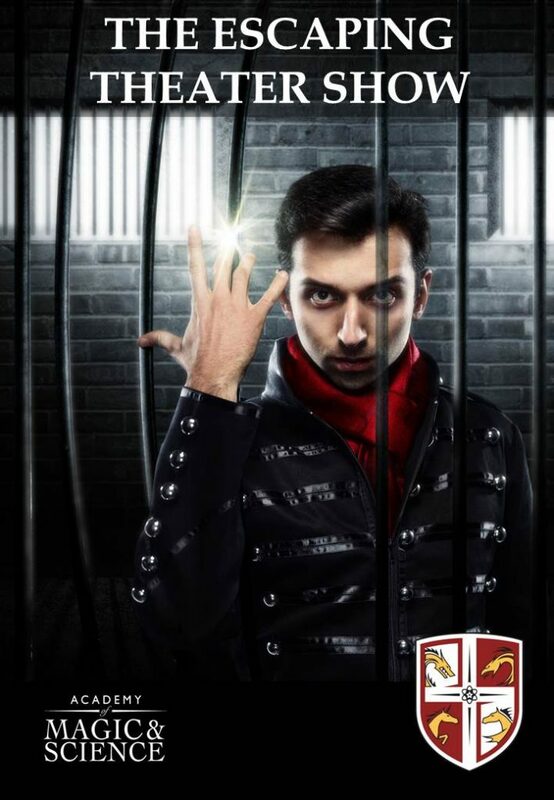 See the Academy of Magic and Science in action and be captivated by our mastery of scientific principles in our jaw-dropping performances. Continuously creating and endlessly innovating, our events pull you to the heart of the Academy of Magic and Science – discover what’s next. 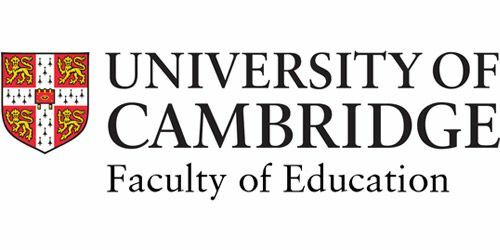 Leading academics and industry experts unite to investigate significant themes in our society today, be a part of this magical exploration. 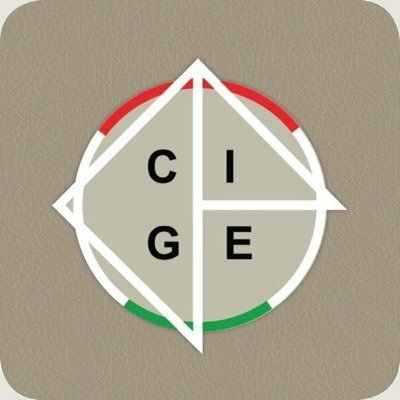 Join like-minded people from around the world in engaging with the latest research developments in scientific fields, with a magic twist. 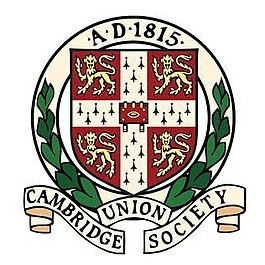 Stay with us in the heart of ancient Cambridge; learn scientific principles and creative techniques to excel in your studies and career. Make your museum or exhibition come alive with magic! Interactive bespoke shows based on your collections, will truly wow your guests. Working within hospitals, using magic to manage patient pain, reframe the experience of long-term care, and reduce caregiver stress. 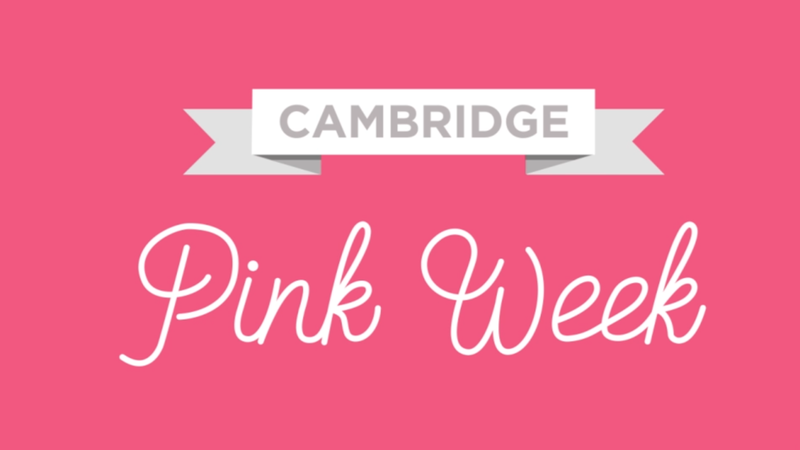 Take a whimsical journey with us around Cambridge. Famous points of history, scientific achievement and a sprinkle of live magic along the way! Incredible stunts for advertising campaigns, Guinness World Records, viral videos for your brand, creative direction and SFX consultancy. ARE YOU ORGANIZING AN EVENT? WE WILL MAKE IT MAGICAL! We can cover all the magical needs of your event and will customise a package of magical elements according to your format, theme and budget. If you are organizing an event, we can cover all the magical needs of your event and customize a package of magical elements according to your format, theme, audience and budget. We would love to join forces, tell us more! Joining forces with Mitocon for the study and cure of mitochondrial diseases. Magical events in the upcoming conference on new frontiers for mitochondrial diseases research in Rome, Italy. 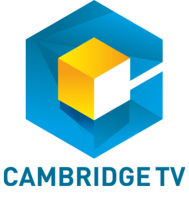 From coop and competitive video games, to charming the hypothalamus into releasing hormones that improve our social behaviour, this testimonial article presents the magic of video gaming in a nutshell. There couldn't be a more magical way of engaging with knowledge than by identifying creative ways to use it to think outside the box and prepare to solve challenges and problems! What is our mind had a Shaolin's discipline, or a Sorcerer's charm? What is the secret of training our minds to work at magical speed is revealed herein?! Turning the impossible into a very possible and great reality, just by breaking the mind's chains! Which spells can "attention" cast on our flourishing as humans? The magical art of training, directing, diverting and tweaking attention that leads us to wonderland! Stephen Fry, English comedian, celebrated actor, multi awarded author, presenter and activist, listed amongst BBC's Top Living Icons, features in the Legends Scheme of the Academy of Magic & Science! Magic teaches us an enormous amount about proper human talent. The things that the people do that are magical are always explained by craft, intelligence, skill, whit, insight. 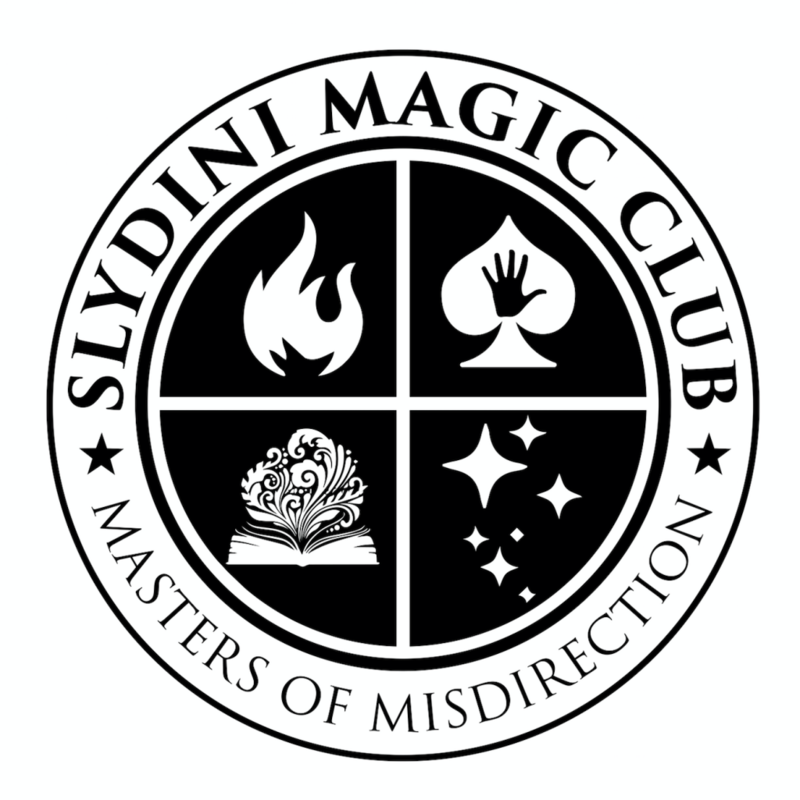 All the proper gifts and attributes of a great magician are all proper gifts and attributes of a scientist that have to do with proper understanding. The Academy of Magic & Science presents the the Legends scheme, a short interview series of history changers that we aspire will serve as role models for young students, hopeful future generations of scientists! "magic for me is the simple idea that anything exists at all, so once you admit the fact that you have a universe that exists with even a single atom in it, then the rest follows. The most magical thing for me is that anything exists at all and why is it necessary to use magic in this case is to inspire people to go into science, to describe the ideas of science? Well, I think science is one of the necessary foundations of our civilisation!" Sir John Pendry is one of the Legends of the Academy of Magic & Science! A knighted professor of theoretical solid state physics with a brilliant research on metamaterials and refractive indices and the creation of the first practical "invisibility cloak"! Magic is important to science because it surprises us and it surprises because we don’t understand it and that is the challenge that science provides to us. It is in the first instance magic and the challenge is to make it “not magic” to understand it, but to leave the wonder behind!